Welcome 2019 in Portugal's countryside with a special 90's celebration. 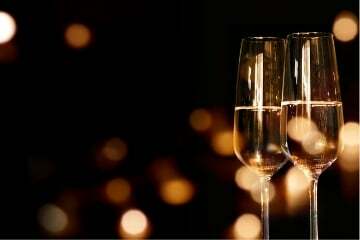 Toast to happiness and start the new year on the right foot with an amazing party and a delicious and brunch on the first day of the year. Reservations subject to availability and confirmation by the reservations department, a 30% deposit is required upon reservation. All reservations must be paid in full before the check in date. Cancellation of the reservation up to 5 days in advance is not refunded the 30% of the reservation, cancellation of the reservation with less than 5 days of the date of check in, the hotel reserves the right to charge the equivalent of the total amount of the stay.